Entering Quarter 2, you might have a lot of assignment piling up in Infinite Campus. To easily accomplish tasks, it might be beneficial to sort the assignments in different ways. I bring you: Infinite Campus Assignment Sorting!! 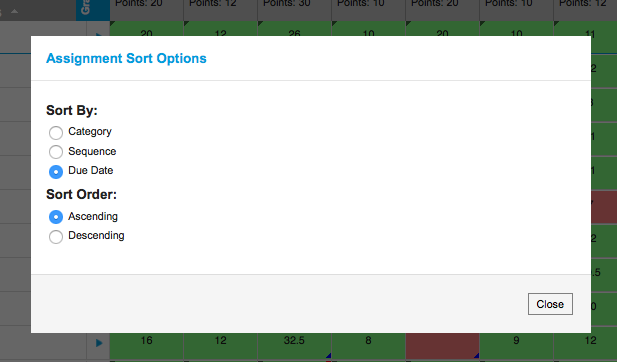 In your gradebook, you will see a "Sort" button at the top left.